We are Mumbai’s foremost sports resource provider for Clubs, Schools, Individuals and Corporates keen on taking up sports like Table tennis, Chess, Badminton, Football, Cricket, Swimming, Basket Ball and Squash etc. 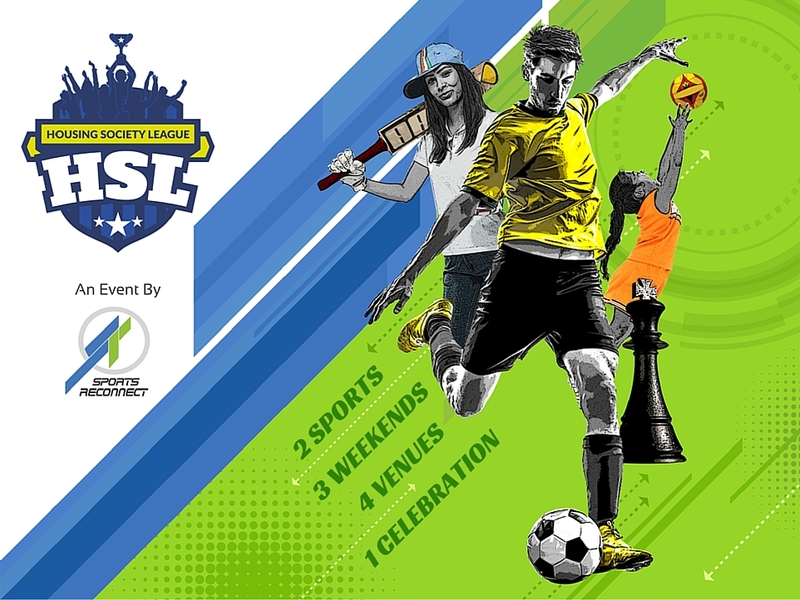 The purpose of a Housing Society League (HSL) is to bring sports and sporting opportunity’s right at your doorstep. Cut out the pains of travel time, the frustration of finding the right parking slot, the disappointment of not getting your favourite grand stand seat and the dust and the crowds that come as unwanted extra’s. Lets face it, these are the exact things that turn you off from planning that stadium outing . For sure you once played a pretty decent game in school or college before the responsibility’s and priority’s of family and society put those aspirations on the back burner. But, as they say , it is never to late to set a new goal and dream a new dream! Vision Sports Reconnect is giving you a wonderful opportunity to reconnect back to those glorious days and participate with your family in a unique celebration of life and sports right here! So let your Mom, Dad, Nana, Nani, friends and neighbours become your cheerleaders for a change! Mumbai’s foremost sports resource company Vision Sports Reconnect is Inspiring a fitter future generation. We aspire to create a sporting culture by offering world class sporting systems and resources in India. To bring sporting opportunity’s to every family in Mumbai. Training over 5000 kids in Mumbai across 30 venues including Housing Society’s in over 20 sports. Conducting tournaments regularly at district, state and national level. Produced over 14 national, 33 state and 66 district level champions at various age groups. Registration Free. Attractive prize money. Unique Home and Away league format. Two sports ie Cricket for men and Throwball for women. Age group 14- 60 years. Topper in the group plays each other for the finals. Game played over 3 weekends, 3 hours of non stop sports-entertainment 5pm-8pm at your society. Come and join the celebration please. Sports Reconnect. Simple theme. Theme images by 5ugarless. Powered by Blogger.